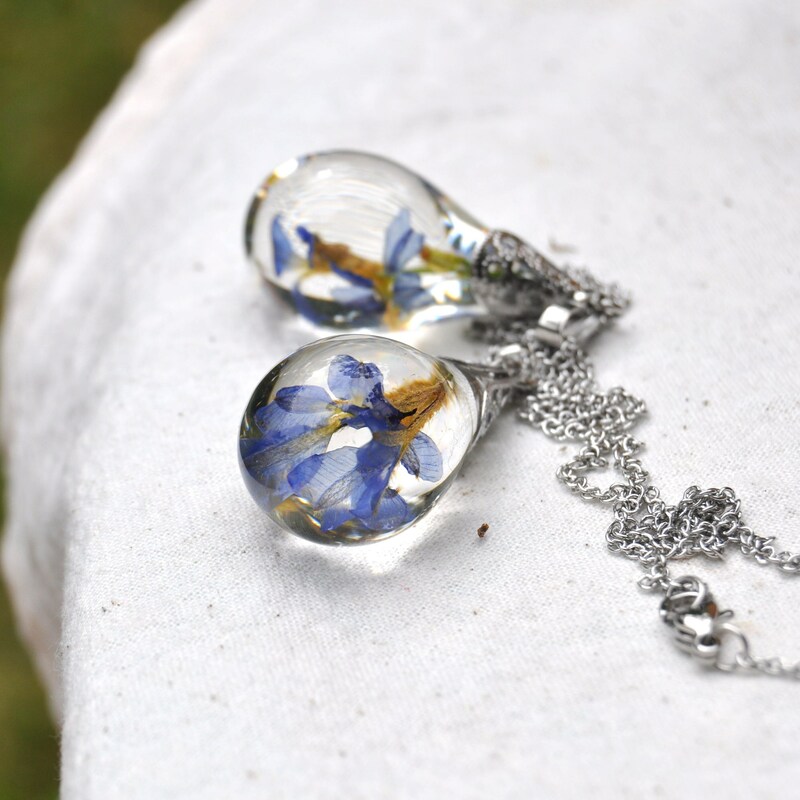 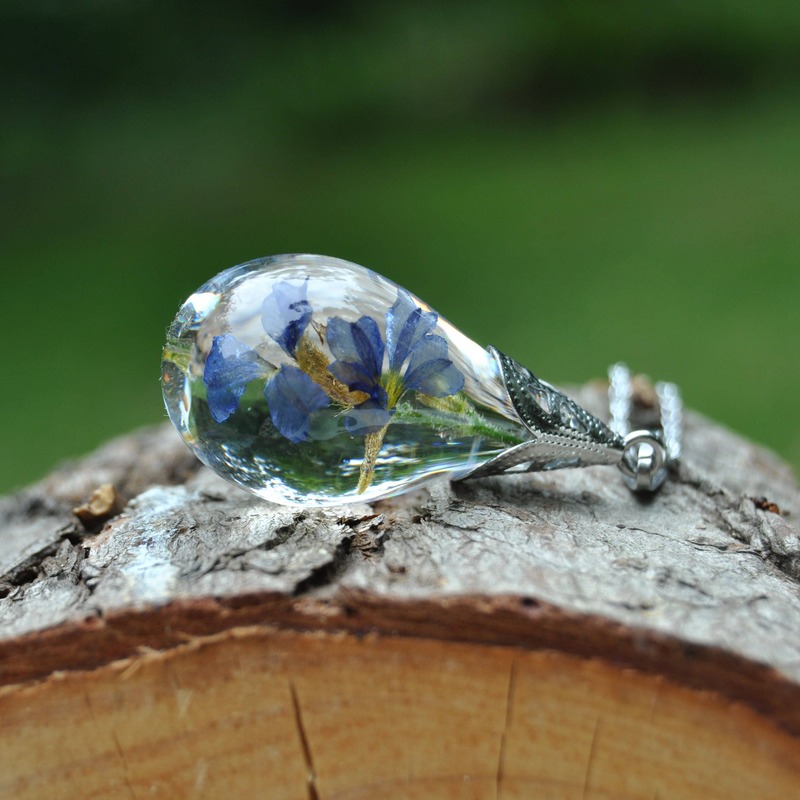 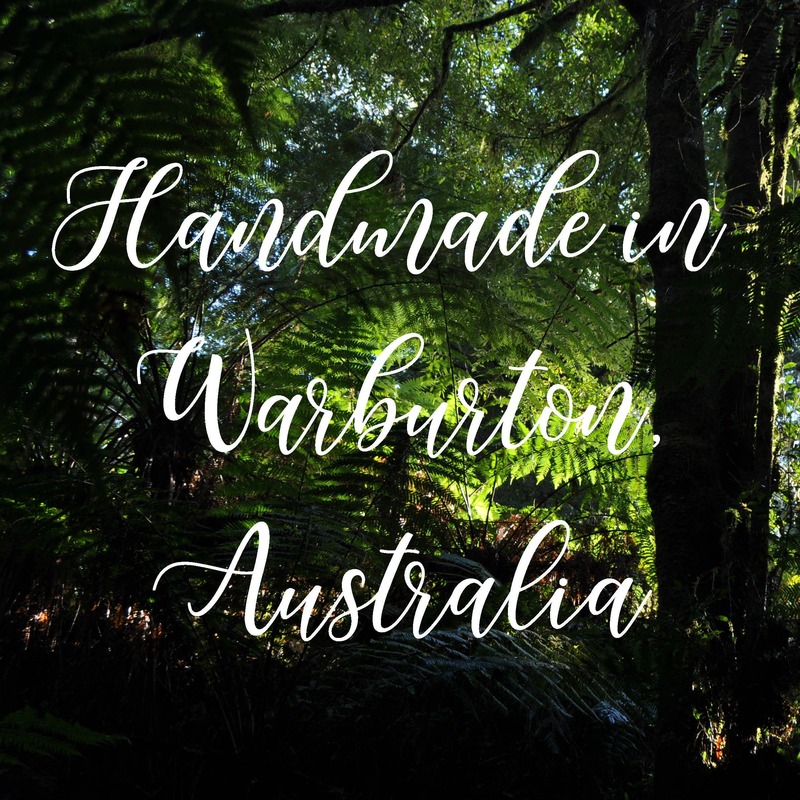 This beautiful rain drop necklace contains flowers from the Blue Dampiera, a pretty blue Australian wildflower that flowers in the spring and summer. 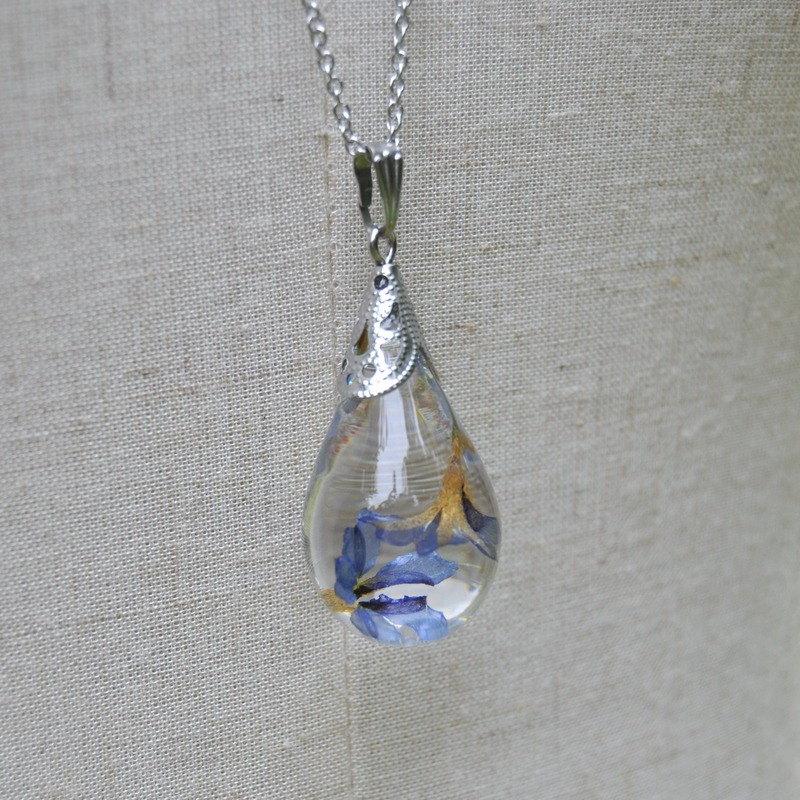 Each drop has been hand cast in clear eco resin, with the tiny blue flowers of the Blue Dampiera encased and suspended inside. 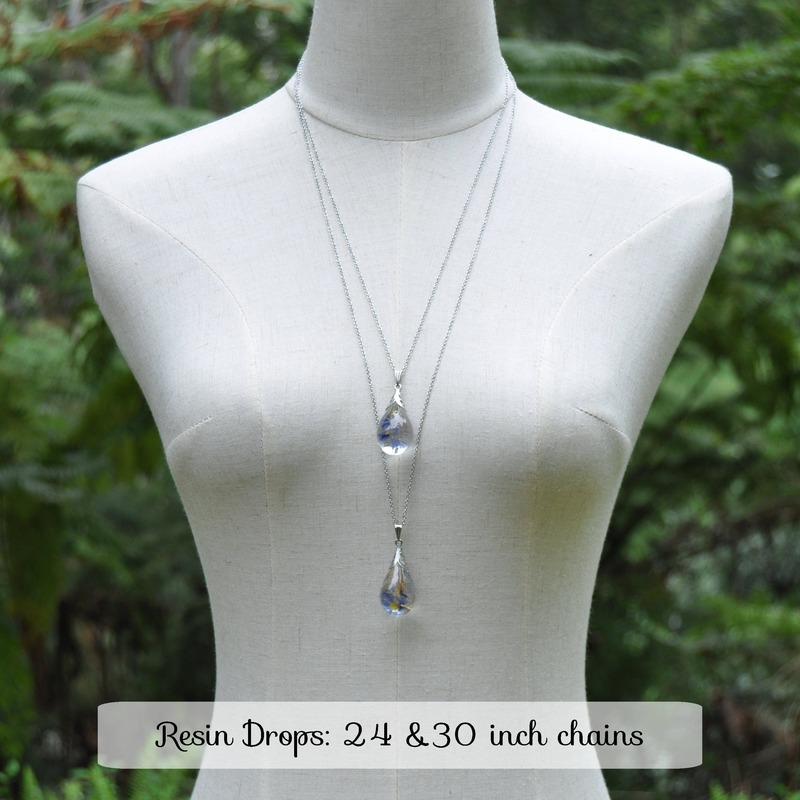 Each drop comes finished with non-tarnishing stainless steel elements, on a 24 inch surgical steel chain. 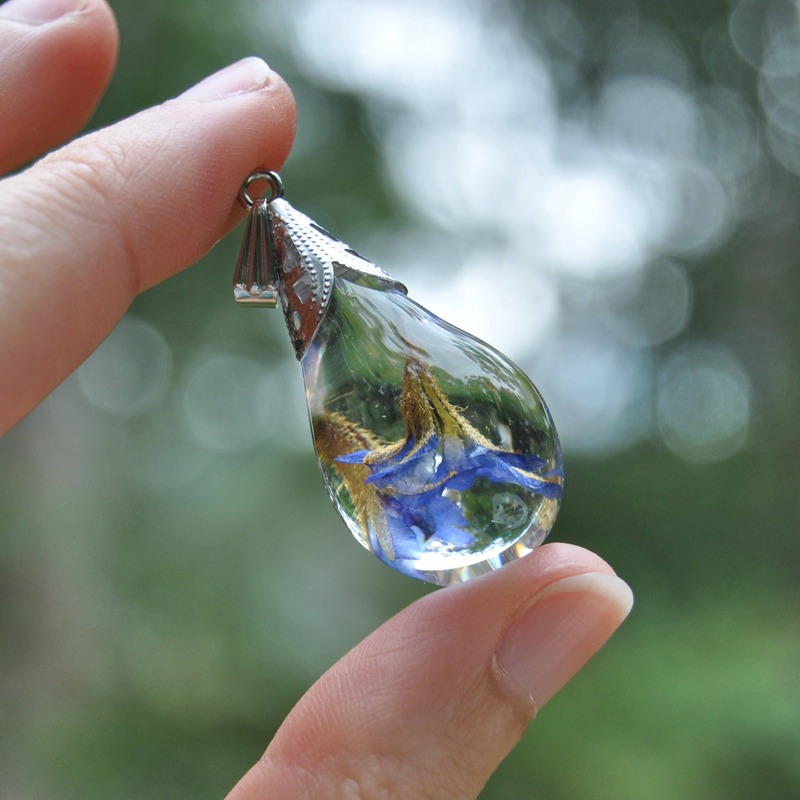 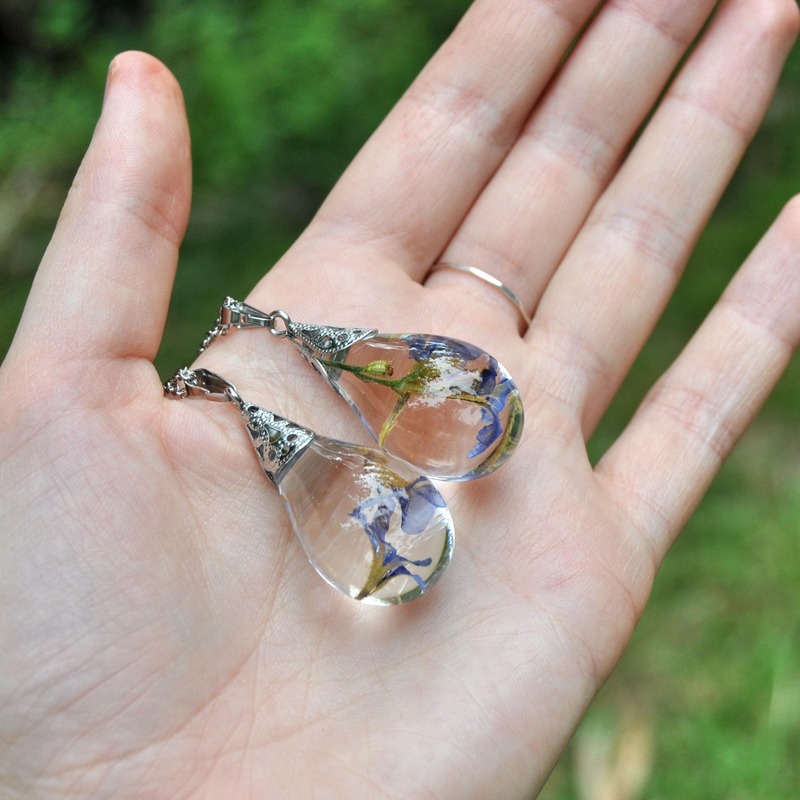 Each drop pendant measures about 35 mm long and is about 18 mm wide.